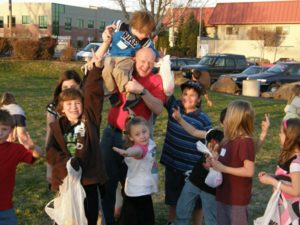 Ron Hauenstein is credited as the founder of the Spokane Fatherhood Initiative. His passion for the fatherless was birthed in his experience as a volunteer since 2008 at the Union Gospel Mission’s Crisis Shelter for Women and Children. As Ron ministered to moms and kids, he witnessed the family devastation that comes from fatherlessness. 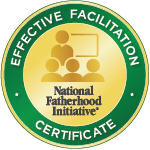 He began to accumulate a library of books and articles and research papers about fatherlessness and visited fatherhood programs in other communities. Through prayer and conversations, he eventually drew together a group of individuals who became a working committee that led to the formation of SpoFI. Ron is a semi-retired life insurance agent. He was raised in Reardan, WA and began his life insurance career in Fairbanks, Alaska. He and his wife Becky have two grown children. Ron and Becky attend Victory Faith Fellowship in the Spokane Valley and have lived in Spokane since 1993. 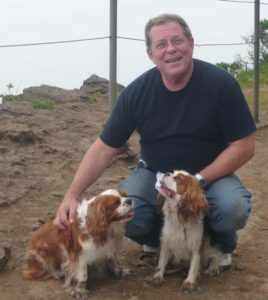 Fred has a passion for Cavalier King Charles Spaniels (CKCS) seen here with Covington and Windsor on a hike along the Pacific Coast in Oregon. Fred is now retired and lives with his current CKCS, Buddy, another pedigreed show stopper! 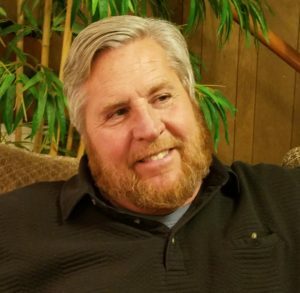 Fred Dent is a lifelong Washingtonian who retired to the Spokane area in 2016. He served six years in the United States Navy before settling in Florida for several years working as a Consulting Engineer in Water and Wastewater as a systems engineer but he never felt that Florida was home. His family all lived in the Puget Sound area so Fred spent most of his vacations in Seattle. He moved back to Seattle in 1993 and continued his education. He graduated from the University of Washington with a dual degree in Human Geography and Vocal Performance. Human Geography is a social science where Fred focused his education on critical development studies. Fred used what he learned as an undergraduate to study the effects of good intentioned policies in the US that have lead to increased poverty, crime, broken homes and the deteriorization of the American dream. He taught Human Geography for many years at Highline Community College in Des Moines, WA. Fred grew up in a single parent home with his mother and two older sisters. His experience brings first hand knowledge of how growing up in a home without a father frames an adult man. Fred has been single most of his life and never had the opportunity to raise children (his own child died with his mother just before his second birthday). He was raised in a liberal Congregational Church and later dedicated his life to Christ at age 23 when he was baptized in the Atlantic Ocean in Fort Lauderdale at an Evangelical teaching revival. 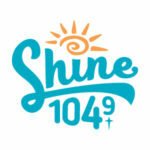 He has over 45 years experience in Christian Music and Youth Ministries. Fred currently works with Prison Fellowship Ministries (PFM) as a reentry mentor and with their Angel Tree program which brings messages of love and the gospel from incarcerated parents with a gift for their children at Christmas. Through these ministries families are reunited and former prisoners are able to find a productive future. Mark Andresen and his wife, Silia, are new to Spokane, having moved here in 2016 from the San Francisco Bay Area. 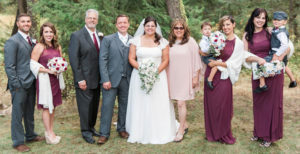 They have been married for 36 years and have four incredible children and two cute grandsons. They love to spend time with family, watch old movies, and talk with good friends over a cup of coffee. Mark and Silia have been involved with Church leadership and ministries for over 36 years. Mark’s experience includes being an associate pastor, a worship leader, an assistant director of a missions ministry, and now the Executive Director of 10:31 Ministries. 1 Corinthians 10:31 states, “…whatever you do, do it all for the glory of God”. 10:31 Ministries acts as the umbrella organization for Mark’s work with SpoFI and other ministries. Mark is also on the Board of Directors for The Way of Business which teaches business and church leadership how to conduct business God’s way. He is actively involved with the Spokane Prayer Initiative which seeks to provide 24/7 prayer support for Spokane. Mark is the Executive Director for The Washing which is a 90-hour prayer and bible reading marathon event. When not engaged in ministry work, Mark continues his engineering work with EMM Consulting – a consulting firm he began in Spokane which specializes in the monitoring and management of electrical energy. Prior to his recent move to Spokane, Mark was the Senior Electrical Engineer for a small engineering firm in the San Jose area. He is a licensed Professional Engineer in the state of California and has a BSEE from Virginia Tech. 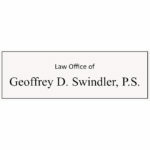 His almost 40 years of experience have garnered listings in Who's Who In Science and Engineering, Who's Who in Finance and Industry, and Who's Who In The West. 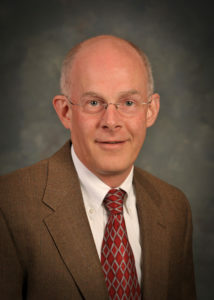 Howard Amland serves on the SpoFi Board and heads the fundraising committee. He has a diverse entrepreneurial background in General Management, Marketing, Sales, Fund Raising, Higher Education, and Consulting. His vast experience includes successful new startups and turnarounds, including top leadership roles with several non-profits and for-profit ventures in a variety of industries. Organizations have realized significant growth and additional revenue streams under his leadership. Howard and his wife, Blythe, reside in Spokane, Washington. As parents of three grown children of their own, along with an adopted grandson, the ministry of SpoFi is especially dear to their hearts. Darrel and his wife Joni have been married 29 years. They have 2 adult children and 6 grandchildren. 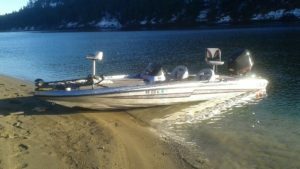 Darrel has several passions (besides fishing), the first and most important is his relationship with God. He believes that life is not healthy and whole without spiritual fulness. His wife and family, especially the institution of marriage and the role of fathers rank second for him. He is also very passionate about recovery from harmful addictive substances and behaviors. Darrel is a retired addictions counselor and former owner of a state certified treatment agency. He now volunteers his time doing outreach for his church and serves several local ministries including SpoFI (Spokane Fatherhood Initiative). 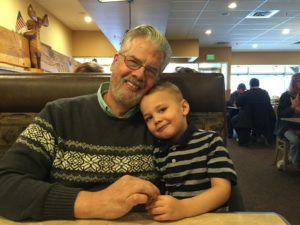 His connection with the Spokane Fatherhood Initiative was immediate as its platform serves to come along side and support the fatherless. He loves fishing whenever there’s an opportunity, and even sometimes when there’s not! Deborah is no longer active on our Board. When her term in office ended she elected to step down and focus her energies on her business Education Northwest Resources. We wish her well and thank her for helping SpoFI struggle through becoming a 501.c.3 charity, helping with several grant applications and for her perspective that helped us stay focused. We miss her and hope to see her often.